Oleg Leonidovich Kryzhanovsky, an eminent Russian entomologist, a scientist of world scale in the area of study of Coleoptera, an eminent specialist in ground beetles (Carabidae) and clown beetles (Histeridae). O.L. Kryzhanovsky published more than 250 scientific works including 6 monographs. He described 135 new species of beetles (including 81 species of ground beetles and 33 species of clown beetles and a number of taxa of superspecies rank. O.L. Kryzhanovsky paid much attention to training of researchers and established a scientific school. Twenty six theses for the degree kandidat of science and 7 thesis for the degree Dr. of Sciences have been defended under his guidance. O.L. Kryzhanovsky was born on 28 May 1918 in Ekaterinburg into a family of a scientific researcher, a mineralogist L.I.Kryzhanovsky. In 1929 the prominent scientist K.V. Arnoldi became the first teacher of O.L. Kryzhanovsky in the area of entomology. In 1941 O.L. Kryzhanovsky graduated from the Biology Faculty of Moscow State University specializing at the Chair of Entomology. In 1941 O.L. Kryzhanovsky was conscribed to the army, finished an aviation college and up till 1945 served in the acting army, participated in action on several fronts of WWII up to Berlin operation in 1945. In 1949 O.L. Kryzhanovsky finished a post-graduate course at the Zoological Institute of the USSR Academy of Sciences, defended dissertation entitled "Beetles of the genus Carabus of Middle Asia and the issue of its mountain fauna formation" for the degree Kandidat of Sciences. Later O.L. Kryzhanovsky served on biological editorial board at the foreign literature publishing house and senior researcher at the Entomology Department of the Zoological Museum at Moscow State University. Since 1952 O.L. Kryzhanovsky started working at the Zoological Institute at a first as a junior researcher and later as a senior and leading researcher. In 1966 O.L. Kryzhanovsky defended the 2nd thesis of Dr. of Biological Sciences on the basis of his monographs "Composition and origin of terrestrial fauna of Middle Asia", which soon became a manual for many zoologists. O.L. Kryzhanovsky retired in 1993, but maintained his contacts with the Coleoptera Department of the Zoological Institute until the end of his life. Scientific works of O.L. Kryzhanovsky are characterized by multifaceted approach to the study of insects and encyclopaedic knowledge. his monographs on ground beetles and карапузикам may be regarded as an example of publications in the series "Fauna of the USSR" ("Fauna of Russia"). O.L. 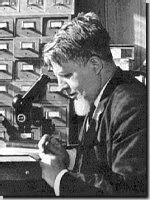 Kryzhanovsky paid much attention to the general biological problems: taxonomy theory, species and generic criteria, principles of zoogeographic zonation. O.L. Kryzhanovsky was a gifted insect collector. Even in war time at the front he found moments to save an interesting beetle specimen in an empty barrel. During expeditions of the Zoological Institute O.L. Kryzhanovsky participated in research of entomofauna of Turkmenia, Tajikistan, Caucasus, Ukraine, Baltic Region, Primorskiy Kray, Afghanistan, China. In the last years of life when health did not permit O.L. Kryzhanovsky to go on expeditions he collected interesting beetle material during his stay at rest home, in the country, whenever he was in nature. Being a man of marked capacity for work, O.L. Kkryzhanovsky was very rational in using his time: his ideas and plans surpassed his abilities. O.L. Kryzhanovsky used any moment for research work and reading. All the more valuable was amazing generosity of O.L. Kryzhanovsky in sharing his knowledge, his valuable time with his colleagues, disciples, beginner laymen and even with people who addressed him by chance. It is to this particlar feature of O.L.Kryzhanovsky that I owe my interest in science and entomology. In 1965 I lived in Vorkuta. I was an engineer by profession and enjoyed collecting beetles. My interests were far from scientific problems. I wrote a letter to O.L.Kryzhanovsky only because I learnt of him from some popular paper. It would have been quite natural if O.L. Kryzhanovsky had not answered my amateurish questions or had just given a formal reply. However, although I was just beginning to collect insects and had not displyed any achievements, I received a long letter from the eminent scientist who was busy preparing dissertation for the degree Dr. Sciences. He gave me valuable advice and told me, as if I had been his equal, of his way in science and plans for the future. I was so much impressed that I entered the Biological Faculty of the University and chose entomology as my specialty and 20 years later I realized my fondest dream was enrolled on the staff of the Zoological Institute and became a junior colleague of O.L. Kryzhanovsky. O.L. Kryzhanovsky's colleagues, desciples and any one who needed his help, advice and support were always welcome in his home. He was generously dispersing his knowledge, ideas, original thoughts, worldly wisdom, rebounded in minds and hearts of many dozens of people. Everyone who worked and met with O.L. Kryzhanovsky will long keep memory of him and pass it on to new generations.